Verudix provides enterprises with insightful mobile strategy combined with Agilemobile app development. We ensure all infrastructure implementations are secure and scalable solutions. 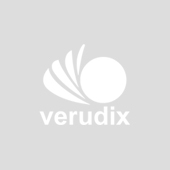 Verudix has designed applications in the categories of security, education, medical, automobile, consumer retail media, entertainment and marketing. iOS/iPhone (Code X), RIM (Blackberry), Android, Windows Mobile, HTML5 Mobile. NET, .NET 3.0, ASP.NET, ASP.NET Ajax, C#, DotNetNuke (DNN), SliverLight, Visual Basic, Visual C++, SSRS, SSIS and SSAS, Microsoft Exchange, Microsoft SharePoint Implementation. Java, Java Design Patterns, Java EE6, Java SE6, JavaFX, ICEfaces, Spring framework, Hibernate, Oracle Fusion Middleware. PHP is a very widely used effective scripting language to create dynamic web pages. It is an open source language which is highly compatible with other open source technologies. PHP scripts are implemented in an executable format using PHP compiler for speed optimization, so as to avoid compiling the code every time the web page is accessed. The three substantial areas where PHP is used are server-side scripting, command line scripting, desktop applications. One of the fundamental and aggressive features of PHP is it's use of wide range of databases like MySQL, Informix, Oracle, Sybase, Solid, PostgreSQL, Generic ODBC. PHP gives a scope to choose any operating systems like Linux, HP-UX, Solaris, Open BSD, Microsoft Windows, Mac OSX, RISC OS and web servers like Apache, IIS, Lighttpd, NGINX. We customize the PHP development services by devising site plan, developing the site architecture, execution, graphic design, testing and quality assurance. Managing a database efficiently is the prime concern, however designing it independent of the logic of the application, so it can be available for various other applications is a different challenge. We mainly deal with server side databases. Once the analysis is completed as to determining the volume of data, how often is it going to be modified, what tasks will be performed then the specific database management system will be evaluated. Databases such as Microsoft SQL Server, Oracle and IBM DB2 offer the client flexibility to handle large amounts of data with a user friendly access to the user to update and manage. These databases are powerful performers with flexibility to upgrade with the right hardware. e-Commerce focuses on buying and selling products or services via electronic systems through internet and other computer networks. 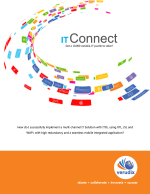 The business conducted electronically has extensively increased due to the wide spread use of internet. Hence E-commerce solution is an end- to end process from designing the site, servicing the products and services, and providing payment gateways. Substantially E-commerce takes place between business to business, business to consumer, consumer to consumer and consumer to business. We help the organization in developing a full-fledged e-Commerce site which helps them in better representing their products or services, efficiently tracking their inventories, news groups, improved customer service, integrate shopping cart and enhance transaction flexibility. Consumers are given an edge about the ample information provided about the products or services, group buying, instant messaging, order tracking online banking and secured online payments. Payment gateway is a service provided by third party service provider who acts as a proxy between business, consumer and bank. It also acts as a gate keeper for all the electronic payments by preventing and detecting fraud, by funneling payments to business bank account. It helps in secured payment transaction by encrypting it's information while transferring from the consumer to the merchant and then from the merchant to the processor. An order is placed on a website, the web browser encrypts the payment information and sends it to the merchant's web server via SSL(Secure Socket Layer) encryption. The merchant then transfers the information to the payment gateway server via another SSL. The information is then processed by the payment gateway to the merchants acquiring bank. The merchant's bank then passes the details to the card issuing bank. The card issuing bank sends back a response (accepting or declining) to the payment gateway. The response is then forwarded by the payment gateway to the merchant's server who in turn encrypts it and sends it to the customer which allows the customer to know if the transaction is successful or not. The entire process takes about 5 seconds. At the end of the day the card issuing bank deposits the amount in the merchant's account. We help companies get to production faster than they would on their own. We provide a vendor-neutral perspective. Our big data big analytics platform is built to deliver analytics that will scale to your largest and perform against your most complex data sets. We provide a managed, easy to use analytics platform built around the powerful Hadoop framework. Focus on your map/reduce queries and take advantage of the broad ecosystem of Hadoop tools, while deploying to a high scale, secure infrastructure platform.